1. They are cheap! 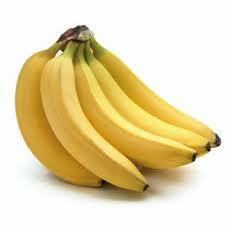 As mentioned, bananas are consistently one of the most affordable foods available. They are usually around 39 cents per pound which comes out to about 12 cents per banana. What can you get for 12 cents these day? Not much especially when it comes to food. Also they are available year round! 2. They are convenient! Bananas have their own wrapper that is easy to open. They don't need to be washed and you don't need any extra utensils or dishes to eat them. They are quick to throw in with lunch or add to any meal. 3. It is easy to know when they are ripe. Unlike other fruits where it can be hard to tell when they are ripe, bananas are easy to tell simply by looking at the color. 4. They are healthy! They provide a good amount of calories as well as potassium, fiber and other vitamins. What are some other foods like this that may be under appreciated?